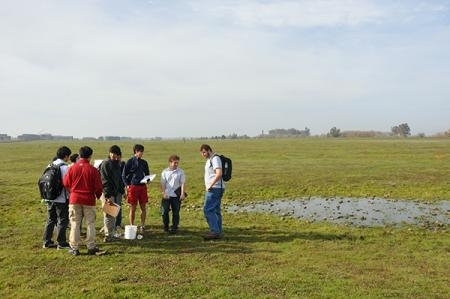 A 12-week training session for the UC Agriculture and Natural Resources' California Naturalist program is scheduled to begin on March 12 at the UC Merced Vernal Pools and Grasslands Reserve, reported Lorena Anderson of the UC Merced communications office. UC California Naturalist was established in 2012 and became an official UC ANR special program in 2014. Training sessions are held throughout the state to foster a network of nature lovers to promote stewardship of California's natural resources through education and service. As of Sept. 30, 2014, more than 18,000 hours of service had been recorded by 650 certified naturalists. The Vernal Pools and Grasslands Reserve and the Sierra Foothill Conservancy in Fresno are offering the first California Naturalist training programs in the San Joaquin Valley. UC Merced's Yosemite Institute will hold its second California Naturalist training in the fall in Yosemite National Park. 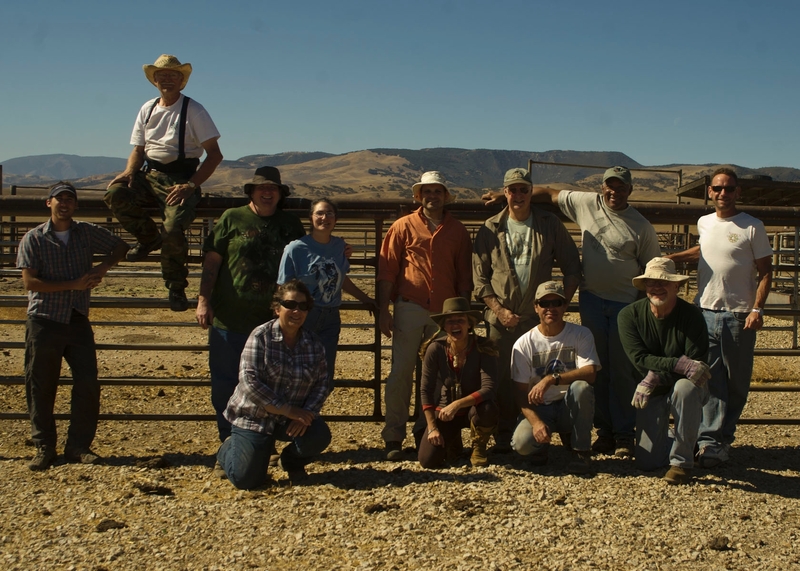 The article noted that UC ANR provided a $7,500 grant to fund scholarships for people who need help covering tuition to attend the Vernal Pools, Yosemite Institute or Sierra Foothill Conservancy training programs. The press release centered on the fact that Mitsubishi Corporation Foundation for the Americas provided a $103,000 gift that will permit UC Merced to hire two part-time coordinators for the Valley courses, and purchase equipment like field notebooks, binoculars and supplies. This story was picked up by the Sierra Sun Times. 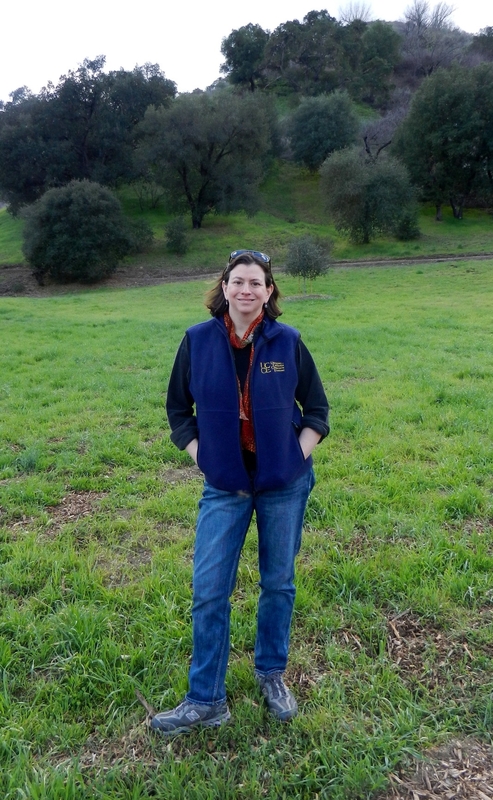 In October 2014, the California Naturalist Program joined the ranks of UC ANR's official statewide programs with Sabrina Drill, natural resources advisor in Los Angeles County, taking on her new role as associate director. "My goal is to expand the program here in Los Angeles, and throughout Southern California," said Drill. "Given the amazing diversity of our habitats and communities, we are expanding to serve more diverse communities, working with teachers, conservation corps trainees and community leaders throughout urban areas," she added. Using an ecosystem stewardship framework, the California Naturalist Program is building a statewide network of environmental stewards. The program uses a science-based curriculum and extensive field time and experiential learning to introduce the public, teachers, interpreters, docents, green collar workers, natural resource managers and budding scientists to the wonders of our unique ecology as well as engage them in the stewardship of California's natural communities. The curriculum includes chapters on forest, woodland and range resources management, geology, climate, water, wildfire and plants. Participants engage in field days and capstone projects and use the iNaturalist app (for iPhone or Android to upload observations of plants or animals and document was seen and where). These tools help to instill a deep appreciation for the state's natural communities and engage participants in biological conservation. Currently in Los Angeles County, UC ANR has three California Naturalist programs running or about to start. At Pasadena City College, students enrolled in a field biology course use the California Naturalist Program curriculum to study the local Arroyo Seco watershed. The California Naturalist certification is one of the core elements of the Mountains Recreation and Conservation Authority's (MRCA) Bridge to Parks Careers program as well as its internship program to prepare young adults from urban areas for careers at MRCA, California state parks and National Park Service sites. Finally, members of the public are invited to sign up NOW for the California Naturalist class at Dominguez Rancho Adobe Museum. The class will focus on the South Bay's historical and modern ecology. Registration is open and class will start on January 24. 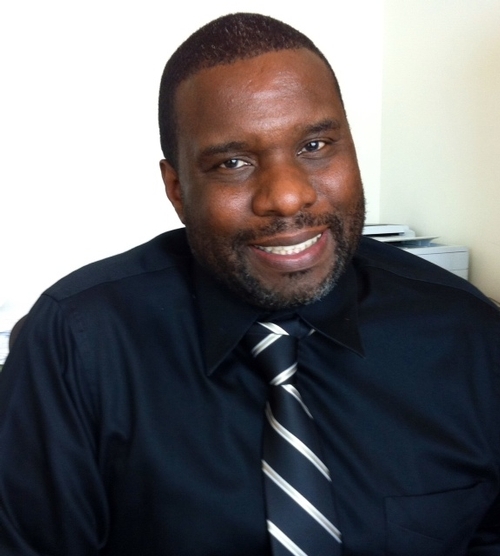 Keith Nathaniel has been named to lead the Healthy Families and Communities Initiative. His appointment begins on Jan. 1, 2015. Nathaniel joined UC Cooperative Extension in Los Angeles County in 1994 as a youth development program coordinator and became a 4-H advisor in 2007. Since 2012, he has served as county director for Los Angeles County. Nathaniel's research focuses on adolescent development, educational planning, social capital and community networks. In addition, he has provided crucial leadership in the areas of science education, camp and citizenship. He received his B.A. in sociology at UC Davis, M.S. in educational leadership at Florida Agriculture and Mechanical University and Ed.D. in educational leadership at UCLA. "It is my honor and privilege to accept this position. I look forward to continuing the initiative's goals to combine research, education and partnerships for the improvement of youth, family and community health," Nathaniel said. "I also look forward to raising the profile and reach of UC ANR through this initiative." He succeeds Dave Campbell (UCCE community development specialist in the department of human ecology at UC Davis), who has been named Associate Dean for Social/Human Sciences in the College of Agricultural and Environmental Sciences. To contact Nathaniel, please email him at kcnathaniel@ucanr.edu. California's drought is having a visible impact on lawns throughout the state as homeowners reduce their outdoor watering. Lawns can be brought back to life relatively quickly, but once a tree dies, its loss is irreversible. As the amount of sunlight falling on trees is reduced with the change in the seasons, trees go into dormancy and require less water than during the hot summer months. But in exceptionally dry conditions, a tree many not have enough stored moisture to survive until drought conditions improve. 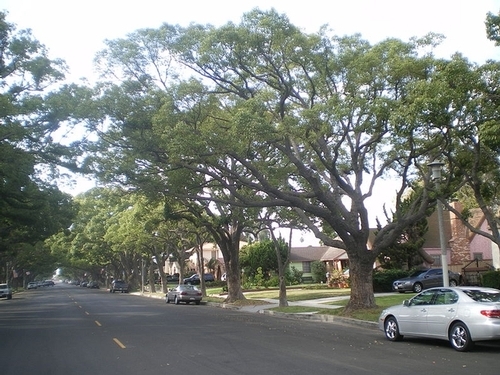 Tree advocates and water officials urge homeowners to educate themselves on effective tree care to ensure their trees' survival in the months ahead--especially if California's extended dry period continues this winter. Representatives of the Sacramento Tree Foundation, California Center for Urban Horticulture (CCUH) at UC Davis, UC Cooperative Extension and the California Department of Water Resources (DWR) say a return of normal rainfall this winter might be enough to sustain trees without special care and watering. However, with no way to know how long the current drought will continue, the advocates say knowing when and where to water a tree can be the difference between its life and death. "We are seeing locations in California where trees are dying because they haven't been watered adequately," said CCUH Director Dave Fujino. "While homeowners are trying to save water by letting lawns die, they need to continue watering their nearby trees." Dig into the soil 6 to 8 inches at a tree's drip line--the area immediately below the widest part of the leaf canopy; if the soil feels dry and crumbly, it needs water. Apply water slowly and uniformly using low-volume application equipment, such as a soaker hose that circles the tree at the drip line. Allow water to saturate the soil to a depth of 8 to 12 inches. Allow the soil to dry between waterings; for most mature trees, one or two deep waterings per month is adequate. Fewer waterings--and perhaps none--are needed during the cooler and potentially wet winter months. Add mulch (leaves or wood chips) between the trunk and drip line to retain the soil's moisture. Reduce competition for water by removing weeds and grass within 4 feet of a tree's trunk. Anne Fenkner, Greenprint Regional Coordinator, Sacramento Tree Foundation, said trees are essential to the health and beauty of residences and entire communities throughout the state. "Trees provide food for people and animals and shade that helps make hot climates livable," she said. "We owe it to ourselves, our children, their children and the trees themselves to help them get through this extraordinarily dry period. When water supplies are limited, priority should be given to trees, then shrubs and perennials and lastly to lawn and annuals." Julie Saare-Edmonds, DWR's Landscape Program Manager, said Californians are responding to the call in January by Governor Edmund Gerald Brown Jr. to reduce their water usage by 20 percent. But if a homeowner has allowed a lawn to dry up during the drought, trees growing in that lawn may not be getting enough water and may need more to help them transition into winter dormancy. Older established trees may be starved for water as well as younger trees. The low rainfall last winter did not replenish the soil moisture adequately and they may need a moisture boost before winter. Avoid fertilizing trees now; it will stimulate new growth at the wrong time of year. When planting new trees, choose species wisely. Consult a local urban forestry group such as the Sacramento Tree Foundation or check the Arboretum All-Stars list at UC Davis. We don't know how long the drought will last, so consider selecting drought-resistant varieties and delaying planting until drought conditions improve. If the drought worsens in 2015, investments in new trees may be lost. Improve the quality of the soil in which the trees grow. Aerate lawns so the roots of mature trees have good access to water and oxygen. Consult the UC Cooperative Extension Master Gardeners or a certified arborist if you have questions about the health of a mature tree. When Los Angeles Times columnist Sandy Banks shared her disappointment with her summer garden, she got words of encouragement straight from Missy Gable, the director of the UC's Statewide Master Gardener Program. Gable commiserated with Banks, saying her own homegrown tomatoes wound up with blossom end rot because of irrigation difficulties this year. "I had the same experience that most people did," Gable said. Banks began the 2014 summer gardening season like most home gardeners, full of hope and enthusiasm. But as fall approached she found herself with "a few spindly stalks of okra, a tangle of barren melon vines and a pepper plant loaded with misshapen pods." Gable and another UC Cooperative Extension advisor, Janet Hartin, chalked up this year's garden frustrations in part to the state of California's water woes. "A lot of people are calling and want to rip out their whole garden and just put in native plants," Hartin told the columnist. But she and Gable assured the writer that vegetables are well worth the water it takes to grow them. 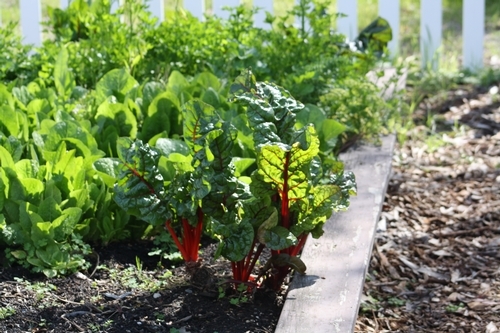 "...By growing fruits and vegetables, you're decreasing your carbon footprint," Gable said. "You're not using pesticides, not making trips to the grocery store... The environmental and health benefits of home gardens are lasting and important." "(Gable) steered me to a bevy of experts who take questions by email and phone through the University of California's Cooperative Extension Master Gardener Program. I've bookmarked local planting guides and advice online at http://www.ucanr.edu," Banks wrote. To read the Los Angeles Times article by Banks, click here.